Adelaide in March is hectic and joyful. As part of the Adelaide Festival I spent six hours watching Roman Tragedies, which was sore on the back but brilliant for the spirit. I also got to hang out with some excellent Australian and International writers/poets when I chaired a forum as part of Adelaide Writers Week. We covered Presentation and Performance – how to captivate a room with your reading. The line up was impressive: Ali Cobby Eckermann, Omar Musa, Jeet Thayill and Yang Lian. I saw Omar perform last year so I was familiar with his work but the other three, not so much. In my research I began to see what an incredible body of work they have and also the vastly different lives they have led. I was looking forward to meeting them. The problem with biographies is that they are such cold things, they act to hide rather than reveal the flesh and blood people they are telling about; the living, breathing, graceful, warm, thoughtful people – Omar, Ali, Jeet and Lian are all of these things, all reading their work beautifully, moving the audience to tears. Such grace in their readings. Laughter too, and generosity of spirit from the panel and audience. ‘Don’t be afraid of the emotion’, said Ali. ‘Work harder, practice and watch how others do it,’ said Omar. Caroline Reid’s plays have been performed and published, as have her stories and poems. She curates the popular short story readings Spineless Wonders Presents… Storytelling for Grownups at Adelaide’s Wheatsheaf Hotel. Caroline is currently working on her first collection of short fiction, and blogs sporadically at carolinereidwrites.blogspot.com.au. 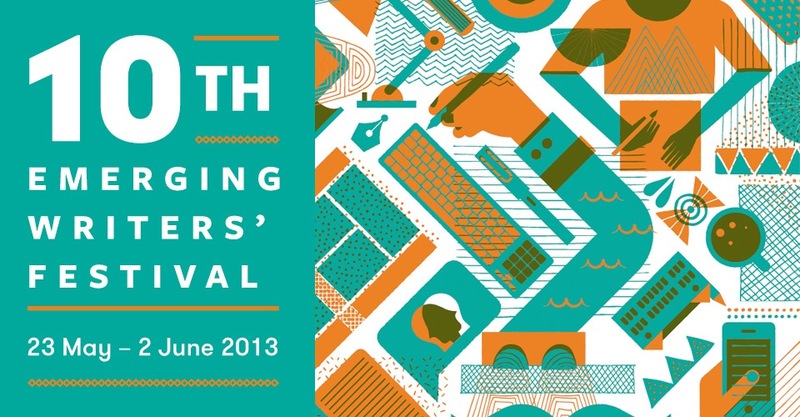 This year I really had no excuse not to go to the 10th Emerging Writers Festival at the end of May. I was invited to be part of a panel, my Adelaide and Melbourne writing buddies would be there and I could go to represent the SA Writers Centre. So far, this has been one of my favourite professional adventures. Those Randoms in the Green Shirts: The way the staff made everyone feel inclusive, and tirelessly worked away but didn’t let it show on their faces. They made the time to stop for a cheeky chat, hand over a homemade mulled wine, whilst simultaneously cleaning up coffee spills, preparing speeches and fixing lighting. Audience Questions: Arts festivals, particularly literary ones, have this unparalleled ability to bring out the most cringe worthy audience questions. Often, not questions but extensive diatribes on their self published historic memoir on the romantic life of their ancestor’s cat. A parody Twitter account, @writersfestquestions, is a testimony to this phenomenon. It’s truly a testament to the EWF that they attracted such a high calibre crowd that almost every single question was well thought out, profound, wise, sensitive to the audience around them and drew out information from the speakers that really did add to the quality of Festival. The was only one time that I felt the need to physically cringe, ‘I don’t use Twitter but I have a comment about it.’ Much to the credit of the succinct panel chair, he cut this person off immediately and requested she get straight to the question, which was ultimately thought provoking. My Tribe: I felt an instant sense of camaraderie with my writing peers flanked either side of me in their heavy knitted scarves and their hashtag-happy fingers. And it was also about the in between stuff, the conversations that were had between panels – what people are writing, their processes, sharing similar fears and insecurities and advice from people who are in the same place as me and from those who are not. I Found Jesus: It might sound trite to say that it was a spiritual experience but it literally was. On Saturday 1st June, I attended back to back sessions of yoga and meditation and creativity (I discuss the meditation workshop in depth in a future post). The combination of the festival, being in the sacred environment of a former convent and these philosophical workshops encouraged an opening and enlightening experience for me. The energy and inner motivation (or creative fire, in yoga it’s called Shakti), was burning strong inside me. The Burn: A burning motivation to write, the reminder that writing is important, that it counts and that I was born to do it. I also came away with a renewed motivation to want to inspire others around me and some infant ideas of what I can bring back to South Australia for my writing peers there. I took back the knowledge about health in writing is vital. And that I must invest as much time and effort into these areas of my life as I do in writing as this is part of writing. State of Mind: I learnt what was happening in other states and that South Australia is not the only state with ‘Melbourne envy’, surprisingly even Sydney suffers from it. We, as a state, are very fortunate in the opportunities and accessibility we have. Tasmania and Northern Territory have no undergrad writing courses and mentoring is hard to come by in Tasmania. Here are some quotes from panel members during the Festival that really struck something in me that have altered me. I’ve previously tweeted them. ‘Health care professionals who understand the creative lifestyle are vital,’ Kharani “Okka” Barokka. ‘It’s important to find a way not to feel isolated when you’re writing about difficult things,’ Okka. 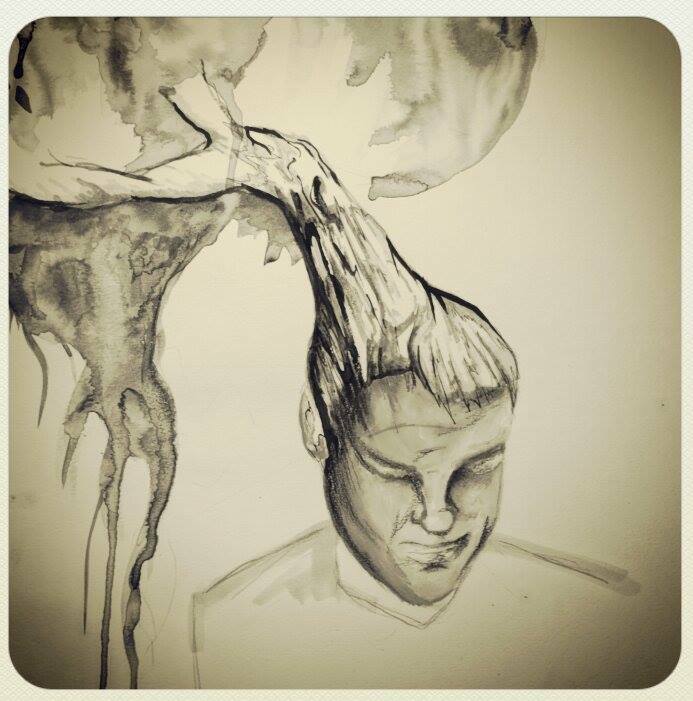 ‘Tapping into our creative souls can bring danger and rewards. Such a sensitive process,’ Jill Stark. ‘Everyone has a different thing that saves them. Find that thing,’ Joel Deane. ‘If I don’t write, I literally go crazy. So I get driven back to the computer,’ Joel Deane. ‘ALL of my anxiety goes into my writing,’ Joel Deane. ‘Write as if it’s your last book. If you don’t want it to be your last book, don’t write the bloody thing!’ Joel Deane. Random House Australia keep an eye out on the self publishing market, particularly for “new adults” (17-25 yo). Alice Grundy says to work towards a deadline, eg writing comps. Behave as if your MS is a professional project. ’70% content, 20% engagement,10% self promotion’ – Alaina Gougoulis from Text Publishing tells us the ideal social media rules. ‘If you don’t know why you’re doing something, you shouldn’t be doing it!’ Zoe Dattner. ‘Stop being in love with your one stupid idea. Churn out ideas!’ John Safran. I wanted a lot of the panels to go longer than they did, there were a few things I couldn’t attend due to scheduling clashes. Although I personally managed it okay with the help of a supportive workplace and some generous friends, it might work better for interstate guests if the festival is compacted into fewer days, rather than spread over two weekends. Lowlights aside, I definitely suggest marking the EWF in your calendar for next year if you’re an emerging writer and want to get amongst your tribe. It really makes a difference to how you feel about your writing, which imbibes into your work. Vanessa Jones is the Program Manager at SA Writers Centre, a freelance copywriter, blogger and a creative writer. She is also a yoga instructor. This post was reposted from Vanessa’s blog with her permission. I’ve followed the rebirth of the Tasmanian Writers Festival quite closely over the last year, watching it being pulled together by the amazing Chris Gallagher, who also doubles as the Director of the Tasmanian Writers Centre. I was very fortunate to attend the TWF in April, which featured a number of my favourite Australian writers including Anita Heiss, Tony Birch and the magnificent Frank Moorhouse, who gave an abridged version of his famous Martini lecture, something everyone should witness at least once in their lives. But perhaps more importantly, the festival showcased a host of staunchly Tasmanian (or ‘Van Diemonian’ as historian James Boyce insisted) writers, both established and newly emerging, whose commitment to building and participating in the local literary scene was truly inspiring. I also attended the launch of the latest issue of the revamped Island, a national literary journal but one with a proudly Tasmanian accent. With a predominantly local audience, there were times when I felt like an outsider, as if I was eavesdropping on a conversation meant for someone else. This glimpse into their literary community was a real privilege for me. Coming back to my desk at the SA Writers Centre, I pondered the conversations I’d been listening in on. There was so much talk of Tasmanian identity, of history, landscape, culture, architecture, environment, local politics, and of course the often cited ‘MONA effect’ and the cultural renaissance taking place in its wake. It was inspiring and exciting to listen to this comparatively small but high achieving writing community whose relative isolation may also be its greatest strength. The writers and readers I saw were so engaged with who they are as Tasmanians, who they have been, and what they might be, and so excited by the stories that try to make sense of it all. Being on the ‘frontiers’ of mainstream, eastern-seaboard Australia can obviously bring with it a strong sense of identity. Adelaide and South Australia seem sometimes to occupy a middle space – not as removed from the major east coast capitals as Darwin, Perth and Hobart as to have a sense of total disconnect, but far enough to not feel entirely connected. My visit to Tasmania has me wondering anew how much this impacts on the ways we think and write here. I’d like to see more forums, festivals and events where we talk about South Australian writing, our history, environment, and culture, and how it shapes us. It also made me hope that sometime in the near future I might attend a launch of a reborn literary journal here in South Australia, one that celebrates our diverse and unique community of writers. We’d love to talk to anyone who feels the same.